Reaching out to all residents and community leaders is critical to the planning process and for building stronger, trusting relationships. That's why planning departments nationwide are making the case this Planning Month to communities about the essential role planning plays in creating communities prepared for the future through school visits, photo contests, celebrations of planning, and more. Here is a look at the creative ways planners are engaging community members. Walking and bike tours, book talks, and other activities are fun ways to inspire people of all ages to experience their communities in different ways. The Tyler, Texas, Planning and Zoning Department organized the Build a City with a City Planner event Thursday at the Tyler Public Library. Participants used Legos, Play-Doh, and drawing materials to build their own miniature towns. The city encourages residents to engage on social media by sharing a picture at a location that shows why planning matters using the tag @txplanning and hashtag #PlanningMonth. Throughout the month of October, LA Metro Countywide Planning and Development Department has been hosting events for all LA Metro employees in celebration of Planning Month. Events include walking tours, information sessions, poster contests, and social gatherings. 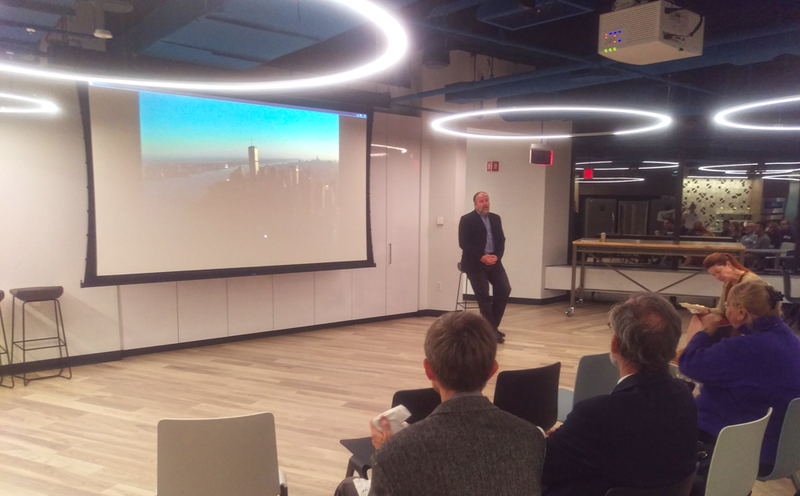 The Massachusetts Association of Consulting Planners and Massachusetts Chapter of APA hosted Anthony Flint, senior fellow at the Lincoln Institute of Land Policy, October 23 in Boston and presented the Ric Burns film, The City and the World (1945–2000). Flint set the stage for the screening by providing context for Robert Moses’s actions and power, and discussed how Jane Jacobs and Robert Moses both shaped New York. Anthony Flint introduces the film The City and the World, 1945-2000. Photo courtesy Jacobs Engineering Group. As part of an extensive Planning Month event lineup, The APA Florida Sun Coast Section, the USF Student Planning Organization, and others jointly celebrated National Community Planning Month and National Coming Out Day on October 11. This event recognized the role of placemaking and community organizations in supporting a thriving local economy, fostering diversity, and enhancing quality of life. 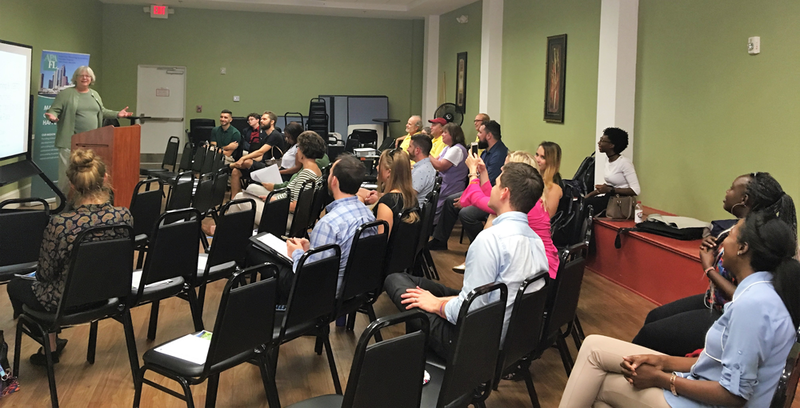 This event also highlighted the ways urban planning, economic development, and community organizations engage with LGBTQ and diverse communities in Tampa’s “gayborhood” (Ybor City) and beyond. The event concluded with a walking tour down 7th Avenue, a 2008 Great Place in America. This collaborative discussion will engage and feature neighborhood, state, and national partners, and will showcase the value of planning to an entire community. Planning and LGBTQ communities event. Photo courtesy APA Florida Suncoast Section. Developing strategies to encourage more Missing Middle Housing, a concept which highlights the need for a diversity of housing types to reach households of all sizes and incomes, is a critical step towards addressing the housing affordability crisis that many communities are facing. This session built upon a previous planner-focused event and was intended to spur discussion on housing needs in the local community and how multi-unit, low-rise housing can serve as part of the solution. Specifically, this discussion covered several principles from APA’s Planning Home initiative, including reform of local codes, promoting inclusionary growth, removing barriers to multifamily housing, and turning NIMBY into YIMBY. 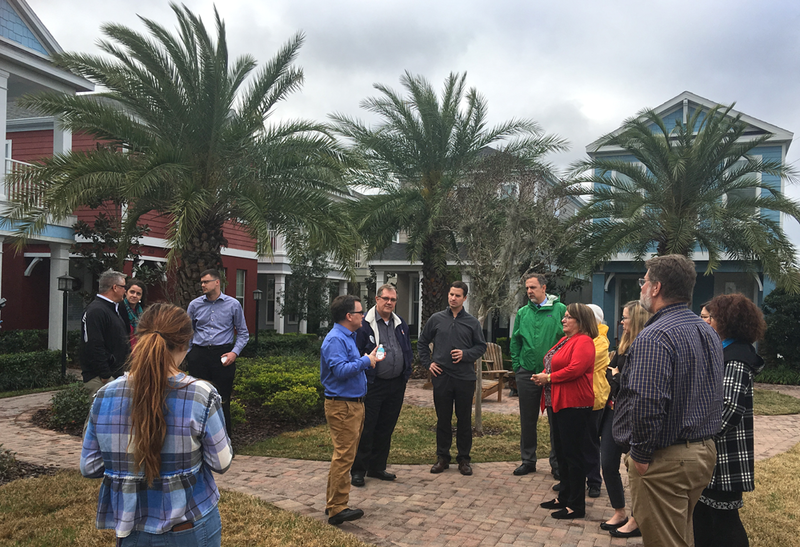 By engaging local decision makers, and showing real-world examples from local communities, this #PlanningMonth event was a collaborative conversation intended to help transform planning concepts into action. Missing middle housing tour with planners in January. Photo courtesy APA Florida Suncoast Section. Parking is an important yet controversial issue that impacts many aspects of our cities and towns. The Salt Lake County Regional Development hosted an educational lunch lecture event on October 4 with speaker Donald Shoup, FAICP, author of The High Cost of Free Parking, that covered the land-use and housing development cost implications of free parking. The Ogden, Utah City Council is leveraging National Community Planning month to highlight housing and revitalization projects in Ogden with videos on Twitter. The Urban Planning Program at the University of Kansas has been celebrating Planning Month with planning haikus written by Planning History and Theory students. The haikus are based on photographs and pieces of art depicting the state of cities in the late 19th and early 20th centuries, found at the University of Kansas Spencer Museum of Art. You can check them out here on their Facebook Page. Throughout the month of October, Fontana, California, is engaging its community members through multiple social media channels to bring awareness to the role of Community Planning, including interactive content such as Facebook Live videos to address planning questions and "scavenger hunt" photo contests. Photo contests are a creative way to encourage people to look at their built environment in a new light. The City of Santa Fe Springs, California, created a photo contest for images that best showcase the vibrancy and livability of residents' favorite Santa Fe Springs places. The selected image will receive recognition at the city council meeting. Working with youth is an important way to start citizen involvement early on and cultivate strong community relationships. The APA Ambassadors program brings planners to students and children to get them actively thinking about what goes into their cities and towns. Planners from the Local Planning Assistance division of the Metropolitan Council of the Twin Cities along with YEP!, Youth Engagement Planning nonprofit, are headed into the schools on October 30 to teach urban planning to a fifth grade class in North St. Paul, Minnesota. Together, they will discuss what planners do, the history of planning, and ways in which students can plan to make a difference in their own communities, and then use their creativity to design a city. In Palm Springs, Florida, the Department of Planning, Zoning, & Building will visit the Palm Springs Middle School to lead students in a role-playing scenario where the students act as city planners, city council, and members of the public during a site plan review. Tell us how your community is celebrating Planning Month on social media at #PlanningMonth or email us. Top image: Omaha City Council Member Garry Gernandt gives remarks at a 2016 Great Places in America announcement.